Museum-lovers will appreciate Australian National Maritime Museum and Norman Lindsay Gallery & Museum. Do some cultural sightseeing at The Rocks and Sydney Opera House. Get out of town with these interesting Sydney side-trips: Coachwood Glen Nature Trail (in Megalong Valley) and Pulpit Rock Lookout (in Blue Mountains National Park). Spend the 8th (Thu) wandering through the wild on a nature and wildlife tour. There's lots more to do: get interesting insight from Tours, take a stroll through Darling Harbour, explore the galleries of Brett Whiteley Studio, and trek along The Opera House to the Botanic Gardens Walk. For other places to visit, reviews, more things to do, and more tourist information, refer to the Sydney attractions planner. If you are flying in from United Kingdom, the closest major airport is Sydney Kingsford Smith International Airport. 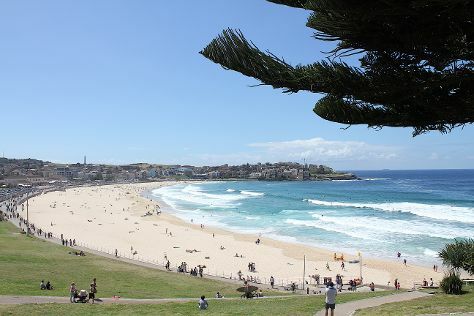 August in Sydney sees daily highs of 22°C and lows of 11°C at night. Wrap up your sightseeing on the 9th (Fri) to allow time to travel back home.